William Henry Egle was born in Harrisburg, Dauphin County, Pennsylvania in 1830. The son of John and Elizabeth Egle, he married Eliza Beatty in July of 1860. An 1850 graduate of the University of Pennsylvania’s Medical Department, William H. Egle, M.D. had been trained as an Allopathic Physician; he practiced a form of medicine known for its use of pharmaceutical and other interventionist treatments for human diseases and injuries. At the dawn of America’s Civil War, he was a resident of Harrisburg. Upon his enlistment for military service, he was commissioned as an officer in Company S, 96th Regiment, Pennsylvania Infantry on 12 September 1862. He then enrolled with the 96th at Bakersville, Maryland, serving honorably until his resignation from his position 9 March 1863. William H. Egle then re-enlisted, and was commissioned an officer and promoted to Full Surgeon with the 47th Pennsylvania Militia, Emergency of 1863 on 9 July 1863, mustering in at Harrisburg’s Camp Curtin. Organized at Harrisburg in Dauphin County, Pennsylvania, the 47th Pennsylvania Militia, Emergency of 1863 was a separate and distinct military unit from the 47th Regiment, Pennsylvania Volunteer Infantry (also known as the “47th Pennsylvania Volunteers). Authorized by Pennsylvania leaders as an emergency response to the Confederate Army’s invasion of Pennsylvania, the 47th Pennsylvania Militia and other militia units of 1863 generally performed duties not associated with front line actions – guarding Rebel prisoners or locations strategically important to the Union (government buildings, railroads, main thoroughfares, etc.). According to historian Samuel P. Bates, the 47th Pennsylvania Militia performed duties in Williamsport and Reading before being transported to Schuylkill County to head off potential violence among the miners there. Appointed as a Surgeon by President Abraham Lincoln, Dr. Egle next headed for Camp Nelson in Kentucky where, beginning on 12 July 1864, he served as a commissioned officer and Full Surgeon with Company S, 116th Regiment of the U.S. Colored Troops. His diary from this period presents illuminating glimpses into the lives of America’s black soldiers. Promoted to Major on 12 August 1864, Dr. Egle mustered out of the 116th on 9 November 1865. He subsequently became the Executive Medical Officer for the division of the U.S. Army’s 24th Corps, which was led by General William Birney and served at Petersburg and Appomattox. Later assigned to General Jackson’s division, he was stationed with his unit near the Rio Grand River and Roma, Texas from 25 June 1865 until December 1865 when he resigned. A letter from Egle, dated 31 December 1883 and published in a January 1884 issue of the The State Journal documents his title as “M.D.” and his service as Physician to Dauphin County Prison. The letter presents his annual report regarding prison conditions and care rendered to inmates to the board of inspectors. 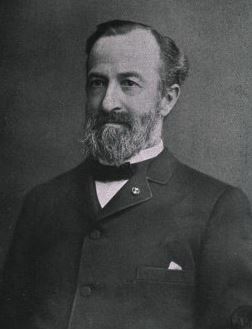 In March 1887, he was appointed State Librarian, which position he held for twelve years. He was the author of a history of Pennsylvania and a large number of other historical publications. As a respected historian and genealogist, in fact, he is still known for his publication, Notes and Queries, Historical, Biographical, and Genealogical, Chiefly Relating to Interior Pennsylvania. His papers are housed at, and beyond, the Pennsylvania State Archives. Egle died at home during the evening of 10 February 1901 after losing his battle with pneumonia. A burial ledger and other church records indicate that he was a member of the Episcopal faith. He was buried at the Harrisburg Cemetery, 521 North 13th Street. 2. Civil War Veterans’ Card File, 1861-1866. Harrisburg: Pennsylvania State Archives. 3. Hafner, Arthur Wayne, ed. Directory of Deceased American Physicians, 1804-1929: a genealogical guide to over 149,000 medical practitioners providing brief biographical sketches drawn from the American Medical Association’s Deceased Physician Masterfile. Chicago: American Medical Association, 1993. 4. Letter from William H. Egle, M.D. (dated 31 December 1883), in The State Journal. Harrisburg: January 1884. 5. Obituary of William Henry Egle, in The New York Times. New York: 10 February 1901. 6. Official Register of The Army Volunteer Force, 1861-65. Washington, D.C.: U.S. National Archives and Records Administration. 7. U.S. Civil War Pension Index (application numbers: 1262009 and 1160238, dated 13 February 1901 and 7 July 1920, respectively). Washington, D.C.: U.S. National Archives and Records Administration. 8. William H. Egle Diary, in William H. Eagle Collection (1814-1899). Harrisburg: Pennsylvania State Archives. 9. William H. Egle Collection (1817-1867). San Diego: San Diego State University.